Pfizer and fellow drug maker Allergan announced Monday morning that they would be merging in a huge deal of $160 billion that would create the largest drug maker in the world, producing treatments that vary from Botox to Lipitor. The deal has been structured as “reversed-merger” as the smaller Allergan, based in Dublin, is buying Pfizer based in the U.S. It likely will renew the concern in Washington, D.C. over the corporate inversions where companies with a U.S. domicile are buying or bought by a foreign company to reduce its corporate tax burden in the U.S.
Just a few days ago, the Department of Treasury issued new rules that seek to clamp down on the inversion deals, which President Barack Obama labeled as unpatriotic. During his phone call to Wall Street analysts, Ian Read the CEO at Pfizer said the company appreciates all the attention the inversion is getting from the presidential candidates, politicians and the Treasury but they decided to move forward. The deal should close sometime during the second six months of 2016. It will create a pharmaceutical giant with cash flow from operations of over $25 billion by the year 2018. During a press release, Pfizer said the new company is expected to generate over $2 billion in overall savings over a period of the first 36 months of the deal and would have a 17% to 18% tax rate, which is much less than the current corporate rate in the U.S. of 25%. The new combined company will used the name Pfizer plc and will unite the huge pharmaceutical giant in the U.S. known for its iconic drugs like Lipitor that fights cholesterol and Viagra for erectile dysfunction with Allergan that is known best for its Botox that smoothes out wrinkles. 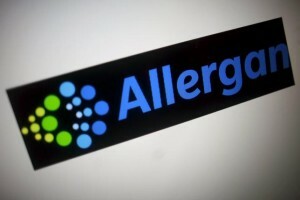 Legally Allergan will purchase Pfizer, then Allergan is to change its name to Pfizer plc and the business will maintain its global headquarters in the state of New York, but will keep the main offices it now has in Ireland.